Austrian retailer, Gameware.at, is unhappy about Microsoft offering Xbox Game Pass subscribers access to the latest games on day 1 for a low monthly price. The retailer has decided to delist all Xbox consoles from their online store citing low profits. Austrain game retailer, Gameware.at (owned by Gameware KG), is reportedly unhappy with Microsoft's preferential treatment of Xbox Game Pass subscribers saying that console sales hardly bring any profits but only expenditure and it is the game software that retailers look to selling more. In an extreme step, the retailer has decided to pull all sales of Xbox One consoles from its online website. Earlier, Microsoft announced that Xbox Game Pass subscribers will get free or low-cost day 1 access to Xbox exclusives including upcoming games such as Sea of Thieves, State of Decay 2, and Crackdown 3, the same day they are available on store shelves. Xbox Chief Phil Spencer also indicated that unannounced first-party titles such as new iterations of Halo, Forza, and Gears of War will also follow the new Game Pass model. A six-month Game Pass subscription will cost about US$59.99 (~US$10 per month) and will be available from select retailers such as GameStop from March 20. This has irked a lot of retailers as they do not see themselves getting profited by Microsoft's move, which is being viewed as feeding its own coffers instead of considering the retail chain to be an integral part of the business. A standalone retail game will cost as much as a 5-month subscription to the Game Pass service. The availability of games for a low price will mean that gamers will eventually gravitate towards subscription based purchases instead of buying retail discs. The slow but sure move towards online distribution will also mean that used-game trading will take a backseat. This Netflix-like move towards gaming has prompted the Innsbruck-based retailer to delist the console itself from its online store. While fans would appreciate the low cost subscription model, it is the retailers who will feel the pinch. 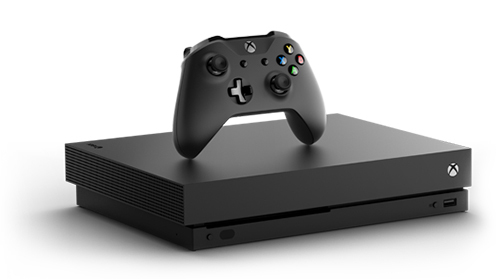 It remains to be seen whether Microsoft would come up with a solution that would benefit both gamers and retailers alike.